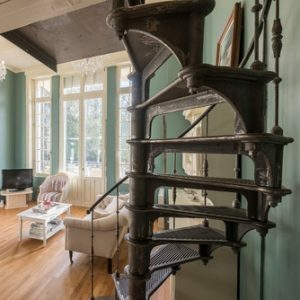 A magnificent industrial French cast iron spiral staircase, dating from the second half of the 19th century, around 1860-1880, the era known from the construction of the famous Paris Eiffel Tower. 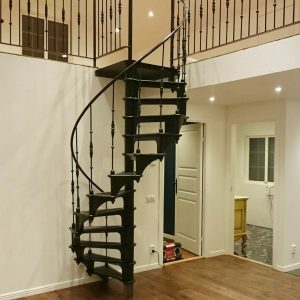 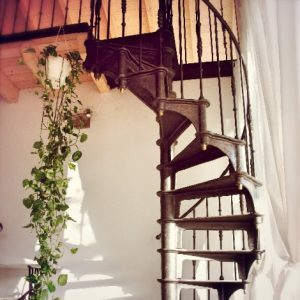 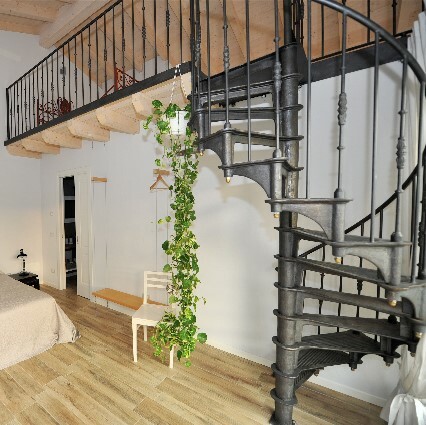 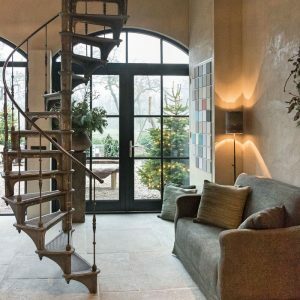 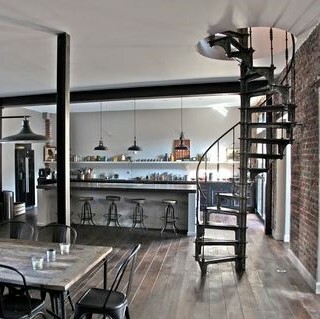 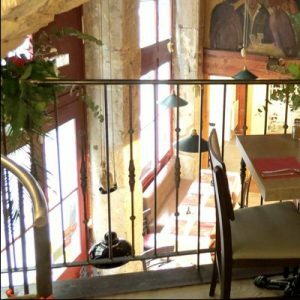 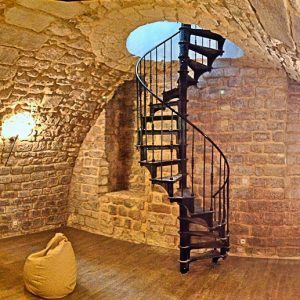 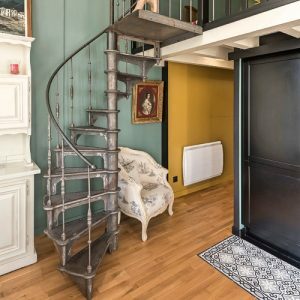 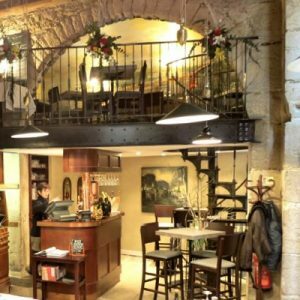 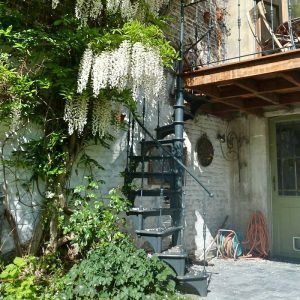 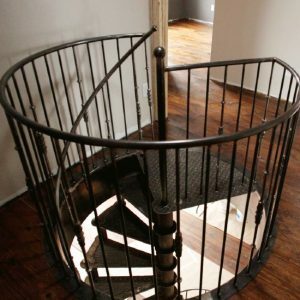 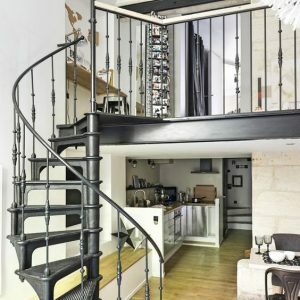 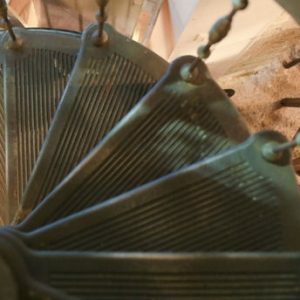 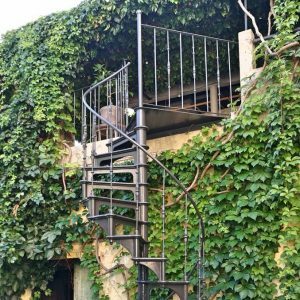 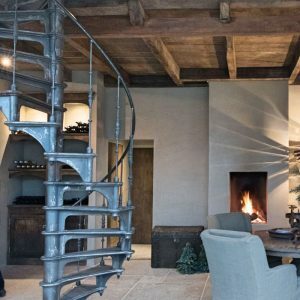 Its industrial design, the simplicity of the shape and the impressiveness of the cast iron makes that this particular and unique spiral staircase merges without a single problem in any type of interior: industrial, shabby chic, romantic, modern, cozy, rustic, country living, etc. 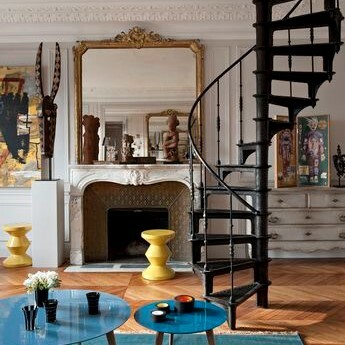 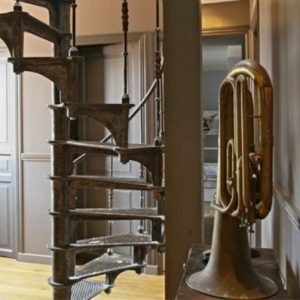 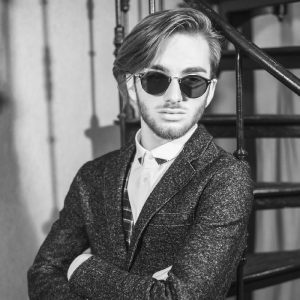 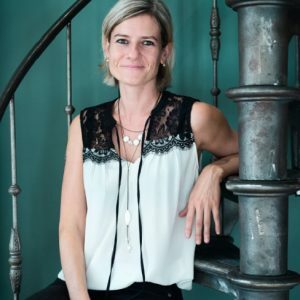 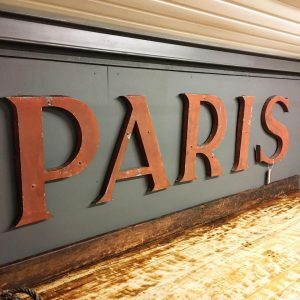 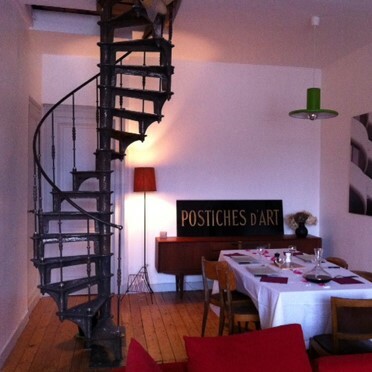 The staircase is a heritage of the industrial era and French craftsmanship in particular. 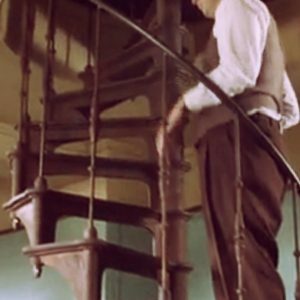 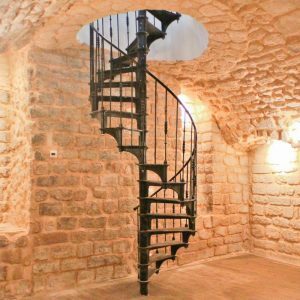 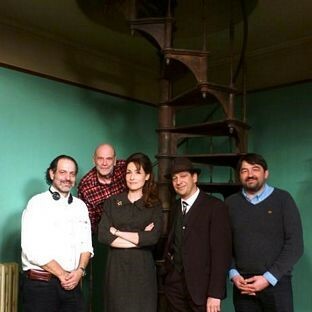 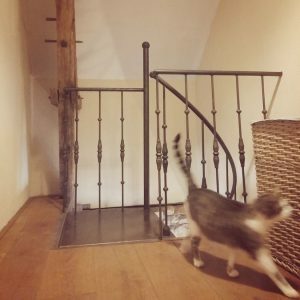 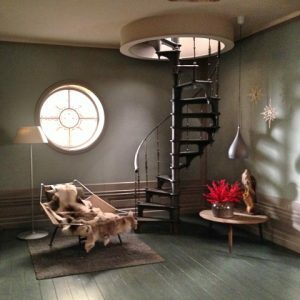 The staircase played the main role in the French telefilm 'Escalier de fer' after the book of George Simenon. 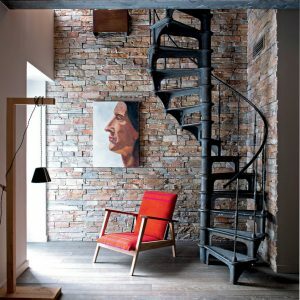 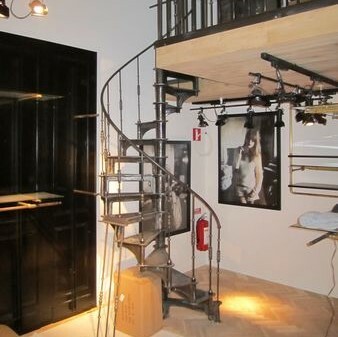 With its limited size (1310mm in diameter) this spiral staircase fits in every imaginable interior. 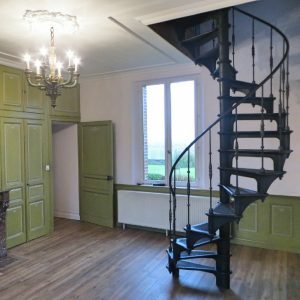 Available for those who want to add character to embellish their home and add value with this state-of-the-art eye-catcher. 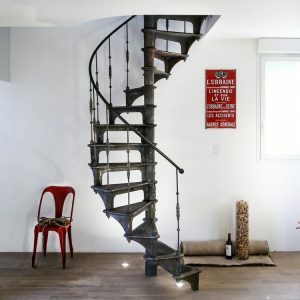 The height of the staircase can be determined by accumulating the number of treads needed to reach to the according level, knowing that the tread height is 20cm (7,874 inch / 0,656 feet). 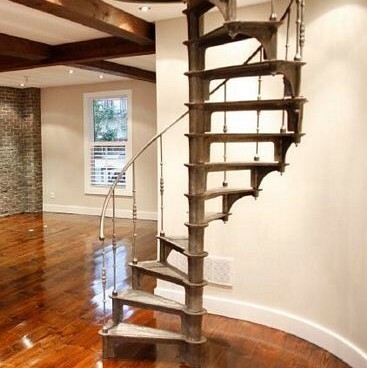 If necessary, the height of the treads can be adjusted (diminished by milling) in order to make a perfect fit. 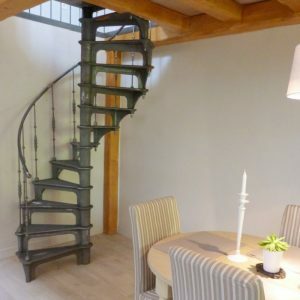 The diameter of the staircase is 1310mm (51,2 inch / 4,27 feet), which is the outside diameter, handrail included. 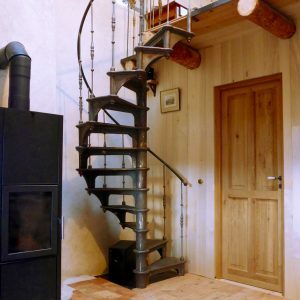 Ideally the stairwell is of the same dimension, but can be larger as well. 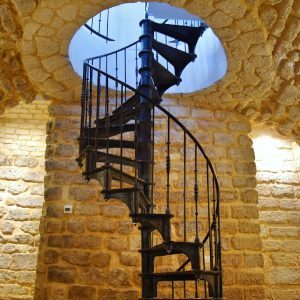 The staircase is available both turning clockwise and anti-clockwise with a rotation speed of 16 treads to the circle (360 degrees turn). 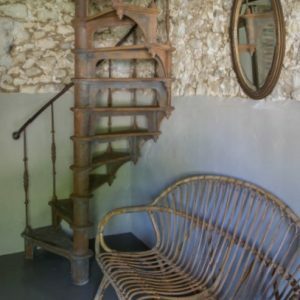 The total weight of the staircase can be determined by multiplying the number of treads with 33kg / 73 pounds (lbs). 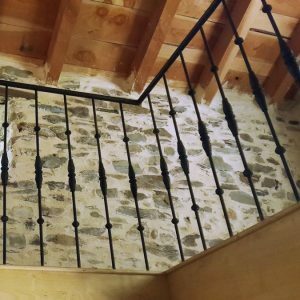 The staircase is delivered in raw loose parts without any finishing. 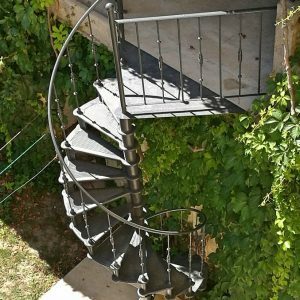 It is up to the customer to choose the desired finishing: either to keep the raw appearance of the metal, to wax or to paint. 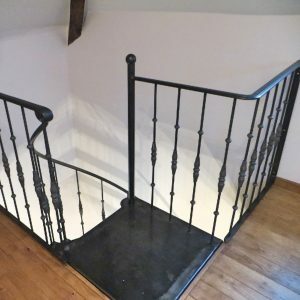 A (metal) wax or matt paint (anthracite grey or black) can be ordered and delivered with.